Upto 24 / 32 fuses per rack. Main & Standby Fuse status LED indicator. Automatic switchover in case of main fuse failure to standby fuse. Remote / Local alarm acknowledgement. 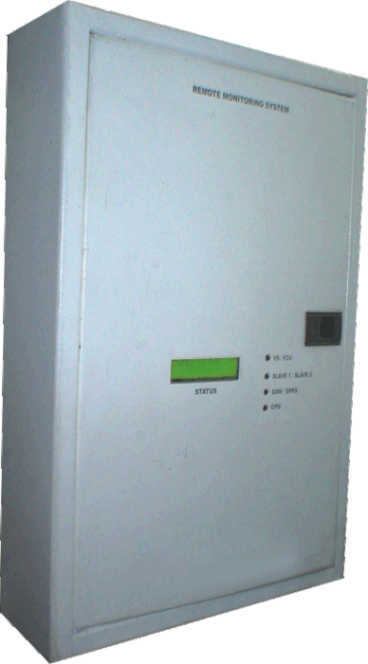 GSM / SMS module for remote reporting of alarms. Test switch for checking indicators. Works off 24V DC/ 60V DV / 110V DC / 110V AC. The Railways Battery Monitoring system aggregates cell level voltages for a 55 cell lead acid battery bank, along with environment parameters such as ambient temperature, humidity, battery temperature etc. It also collects charging & discharging current and load current values. Multiple sites can be monitored by a user. The system also tracks the state of the battery helping in estimation of charge and life of the battery. Voltage monitoring of 55 cells. Charge / Discharge cycle monitoring. GSM / SMS module for remote monitoring. RS232 port for local monitoring. 20 characters X 4 line LCD display.